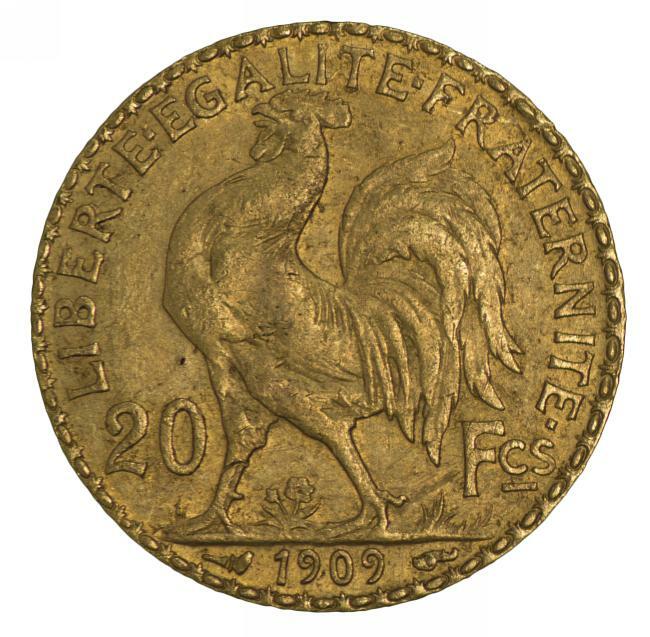 1909 20 Francs Rooster Gold coin VF. 6.45gms of .9000 Gold. 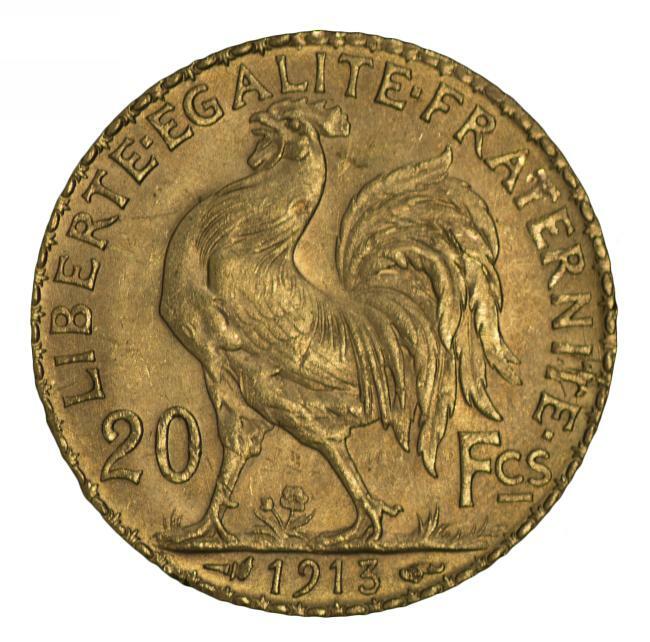 1913 20 Francs Rooster Gold coin EF. 6.45gms of .9000 Gold. 1898 50pf A mintmark good VF. 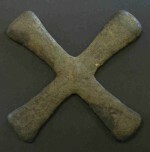 Krause catalogue value US$220.00. 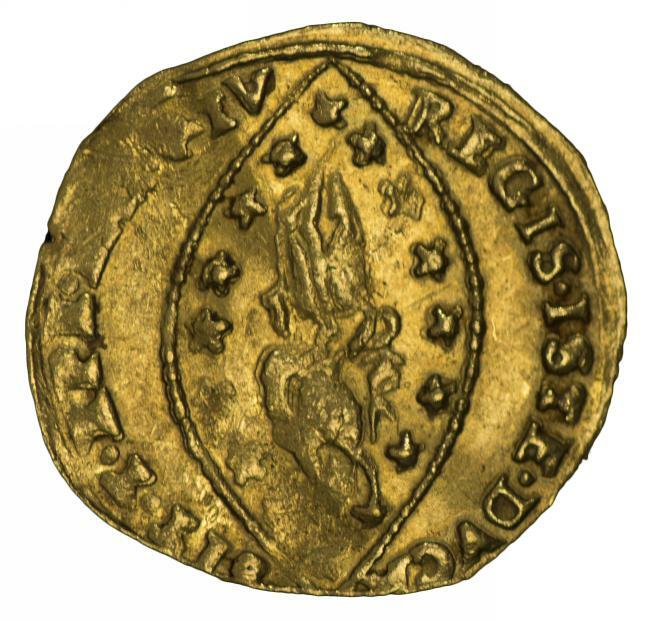 1789-1797 Italian States, Venice Gold Zecchino 'Ludovico Manin' F. 3.38gms of .999 Gold. Large Katanga Cross, a most unusual coin, cast from copper in a sandy mould, used as an early form of currency. Weighs 460 grams. Interesting. 1885 Morgan Silver Dollar Unc. Full lustre. 1976 Bicentennial set (2), 1982 Washington Half Dollar, 1983 $1.00 Olympics (2), 1984 $1.00 Olympics (2), 1988 $1.00 Olympics and 1999 $1.00 Liberty Silver Proof coins, 1983 (3), 1999, 2000, 2001, 2002, 2003 and 2006 Proof sets, 2004 and 2005 State Quarters Proof sets in presentation folders or cases. BC 115-114 M. Cipius M.F. Silver Roman Denarius. Helmeted Head of Roma and Victory in galloping biga. VF. Sear No 225. 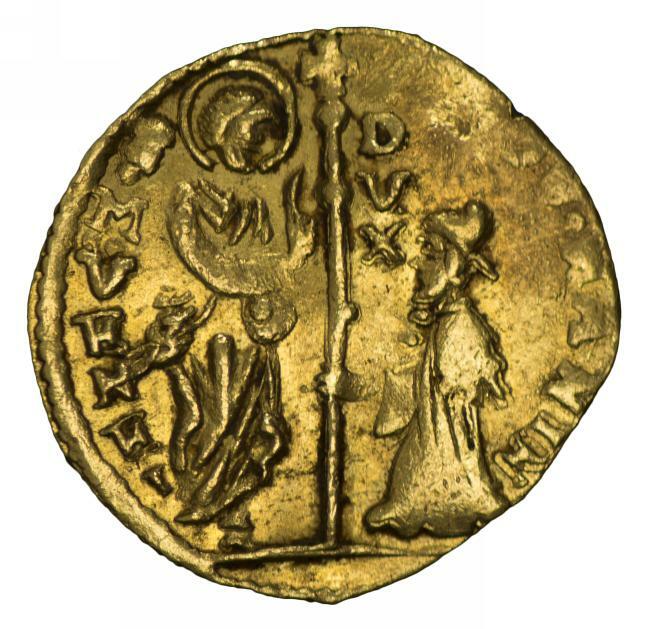 AD 244-249 PHILIP I. Silver Antoninianus. AEQVITAS AUGG. Obverse VG and Reverse VF. Sear No 2551. 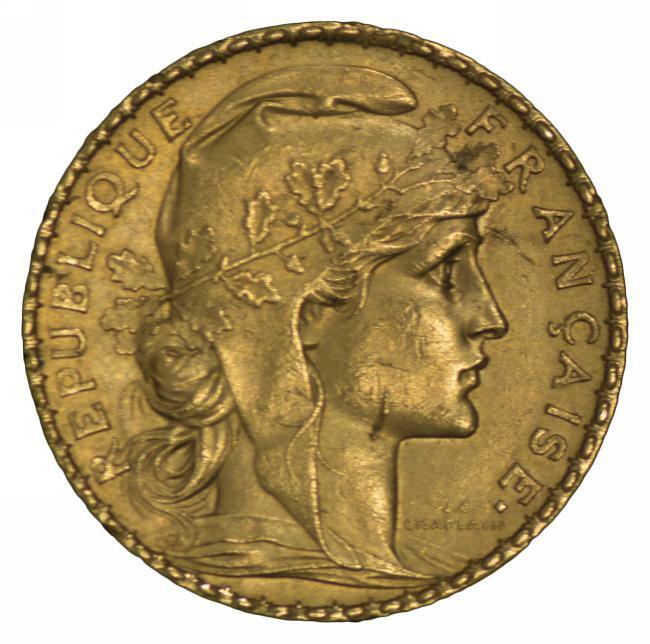 FOREIGN COIN COLLECTIONS AND ACCUMULATIONS. 1952-2008 Macquarie Mint The Olympic Summer Games collection of 13 Silver coins EF, Unc or proof, plus 2003-2010 selection of 9 Silver proof coins from Jersey, Mariana Islands, Liberia, Palau, Cook Islands, Russia, Nauru and Australia (2), in presentation cases. Actual silver content over 500 grams. Also Cook Islands 2007 50¢ 1930 Penny copper proof coin. Very high cost price. Bahamas 1974 Proof set, Barbados 1974 $10.00 Neptune Silver Proof coin and 1975 Proof set, Belize 1975 Proof set, British Virgin Islands 1973 Proof set, Ceylon 1971 Proof set, Cook Islands 1972 Unc set, 1974 $2.50 and $7.50 Cook's Voyages Silver Proof coins, 1976 Proof set and 1976 $5.00 Wildlife Conservation Silver Proof coin and cover, Falkland Islands 1974 Proof set, Gambia 1975 10 Dalasis Independence Silver Proof coin, Great Britain 1971 Proof set, Iceland 1974 500k and 1000k Settlement Silver Proof coins, Jamaica 1976 Proof set, Malta 1976 Proof set, New Zealand 1967 and 1970 Unc sets, Panama 1975 20 Balboas Arms Silver Proof coin, Papua New Guinea 1975 Proof set, plus coin and cover set, Philippines 1975 50 Piso Siver Proof coin, Samoa 1974 Proof set and 1977 One Tala Silver Jubilee Silver Proof coin, Sierra Leone 1974 $1.00 Bank Anniversary Silver Proof coin, Swaziland 1974 Proof set, plus a small range of Unc coins, mostly in presentation folders or cases. Actual Silver content 820g. Small accumulation of coins and medals including Australian Pre-Decimal silver coins with an actual silver content of 197 grams and Great Britain 1952 Festival of Britain Crown proof-like uncirculated coins in cases (2). Also small selection of stamps and banknotes, including Australia 1952 10/- Coombs/Wilson KGVI banknote VG. Small accumulation of coins including Australian Pre-Decimal silver coins, plus 1966 50¢ (4) with an actual silver content of 178 grams and U.S.A. 1976 Bicentennial Silver proof coin set of 3 in presentation folder. Also 1961 10/- Coombs/Wilson Reserve Bank QEII, 1961 £1 Coombs/Wilson Reserve Bank QEII (2), 1967 $10.00 Coombs/Randall and 1968 Phillips/Randall Last Prefix (3) banknotes VG, plus 1988 $10.00 Bicentennial dated note in folder Unc. Brunei 1974 Unc set, Canada 1965 and 1988 Unc sets, 1979 Proof set, 1980 and 1981 $1.00 Silver Proof coins, Great Britain 1972, 1977, 1978, 1979, 1982 (2), 1983, 1984 (2), 1985 and 1986 Proof sets, 1982 (3), 1983 and 1985 Unc sets, 1981 25p Royal Wedding Silver Proof coin, Japan 1970, 1971 and 1977 Unc coin sets, Malaysia 1973 Unc set, New Zealand 1965 (5), 1969, 1978, 1980 and 1983 Unc sets, 1989 Proof set (2), Papua New Guinea 1975 Proof set, Philippines 1975 Proof set and more, in presentation folders or cases. 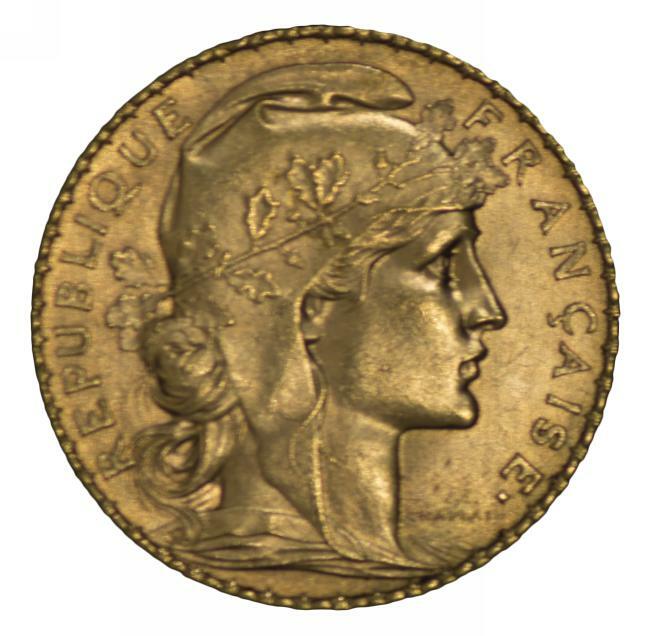 Accumulation of hundreds of Foreign coins from early to modern, including a useful selection of Silver coins and small range of medallions, tokens and banknotes. Noted Great Britain 1906 Half Crown, 1887, 1888, 1889 and 1890 Double Florins, 1844, 1887, 1889 (2), 1895, 1896 and 1935 Crowns and 1901B Trade Dollar, New Zealand 1934, 1941, 1942 and 1943 Half Crowns, 1970 Proof set in presentation case and U.S.A. 1879S Morgan Dollar. Approximately 500g of actual Silver content. Small accumulation of Australian and Foreign coins in small box, including a range of silver coins. Actual Silver content 165g. Accumulation of 5kg of Foreign coins from a range of countries and periods, including a range of silver coins. Actual Silver content 390g. Accumulation of coins from a range of countries and periods, including small selection of Australian silver coins, plus Thailand First Official uncirculated coin set of 32, mixed dates in presentation case. Case with stain marks. Small accumulation of Australian and Foreign coins, including a range of silver coins, several banknotes and medallions. Small selection of Foreign coins, including a range of silver coins and a few banknotes. Noted Great Britain 1937 Crown EF and Fiji 1975 $25.00 King Cakobau Silver proof coin. Accumulation of Australian and Foreign coins, including small range of silver coins and banknotes. Small accumulation of Australian, Great Britain and Foreign Silver coins, including 1966 Round 50¢ (10) and large range of Great Britain 3d from 1920-41. Actual Silver content 680g. Lighthouse 15 space Blue coin tray holders pack of 2 new. (5 packs). Retail $74.00.